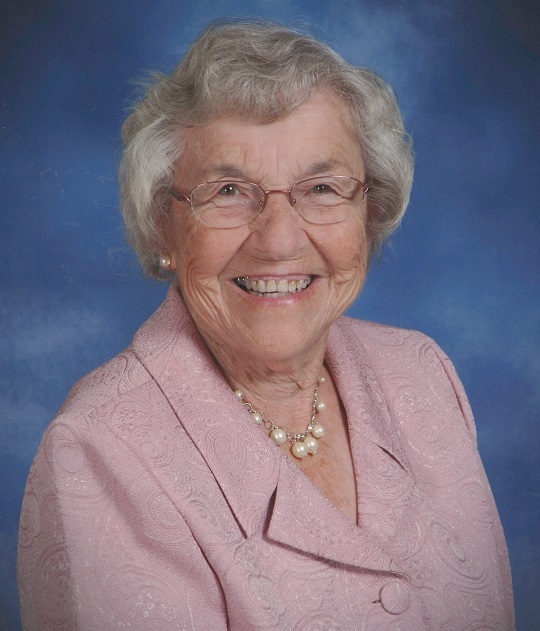 Obituary for Vivian E. "Mondie" (Woodruff) Knipple | Francis G. Ozog Funeral Home, Inc.
KNIPPLE – Vivian E. “Mondie”, 94, of Johnstown died March 18, 2019, at Arbutus Park Manor. Born February 19, 1925, the daughter of Elmer and Emma (Lockard) Woodruff. Preceded in death by her parents; husband, Merle “Ike” Knipple; son-in-law, William Taylor; brothers, Carl and Kenneth Woodruff. Survived by her children: Susan Taylor; James, married to JoEtta (Layton); Pastor Terry, married to Connie (Smith); and Larry; grandchildren: Bill (Sarah) Taylor; Ryan (Mandy) Taylor; Justin (Tracy) Taylor; James (Janel) Knipple; Eric (Rebecca) Layton; Patrick (Amy) Layton; Josh (Lindsey) Knipple; and Travis (Jamie) Knipple; great-grandchildren: Billy, Micah, Owen, Darren, Mason, Emmalee, Andrew, Libby, Anna, Eli, Mara, Silas, Aiden and two more on the way. Also survived by a sister, Wahnita (Glenn) Learn and numerous nieces and nephews. Graduated from Dale High School class of 1942. Was employed as a secretary at Bethlehem Steel Gautier Division. She married Ike in 1946 and celebrated 48 years together. Mondie held various jobs throughout her life. Was a long-time member of Beulah United Methodist Church where she was a member of the Sisterhood as well as the Excelsior and Challengers Sunday School classes, Beulahlanders and United Methodist Women. She loved to serve and spent countless hours cooking and serving any type of fellowship dinner the church was involved with. Sunday dinners at Grandma’s were a tradition for years where anyone and everyone was welcome. She loved camping with family and friends and was an avid duckpin bowler for decades at Zip’s Classic Lanes. Friends will be received Thursday from 3-7 p.m. at the Francis G. Ozog Funeral Home, Inc., 710 Broad Street and Friday from 10 a.m. until time of service at 11 a.m. at Beulah United Methodist Church, 716 Bedford Street Pastor Wanick Fayette. Interment will be held at Richland Cemetery. In lieu of flowers donations can be directed to either Beulah United Methodist Church, 716 Bedfod Street, Johnstown, PA 15902 or Crucified Ministries 220 Maple Avenue, Johnstown, PA 15901, in memory of Mondie.